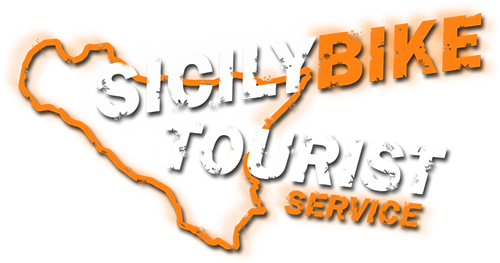 Sicily Bike Tourist Service, always attentive to new geometry and the needs of own customers, offers aluminum bikes, robust and easy to handle, with components suitable for Mountain Bike touristic use. The bikes are regularly checked and washed at the end of each tour, so that the next customer always has a suitable means to carry out a new service. MTB, with 26er wheels (Bottecchia 111) and 29er (Orbea MX or similar), gearbox from 24 to 27 speeds, according to needs, suspension and adjustable fork, disc brakes. Sizes: From 43 to 50.
at the service with mountain bike guide, in this case in addition to the cost of mountain bike guide must be added the cost of the MTB, which is delivered accompanied by the helmet. The MTB guide in charge of the service will bring with it all the rest of the material useful for first mechanical intervention and first aid. Cost of mountain bikes, to be combined with the cost of mountain bike guide service. The costs are “valid” for the duration of the excursion by bike, which can vary from 2 hours to 8 hours max, and according to the agreements and the chosen tour. We have the possibility to include in our tours, pedal assisted bikes (E-MTB). E-MTB can be combined with our “all inclusive” tours, with an increase on the cost of the service. Important: All Mountain Bikes and E-MTB are delivered with FLAT pedals, but when booking, you can request the assembly of your pedals (before the tour starts) or request (without any additional cost) our pedals with Shimano SPD attack. Everything must necessarily be requested during BOOKING. WE DON’T MAKE RENT BIKE SERVICE. Our MTB and E-MTB are given exclusively with a guide.